We are very pleased to announce we will be the main support to Amplifier for 11 dates in Europe next month. Awooga will be the opening band. 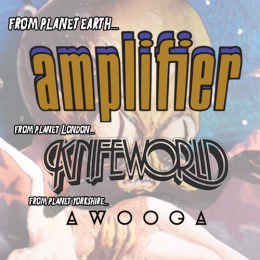 Due to economics, ergonomics and practicality, Knifeworld will be performing as a five piece. A hornless Knifeworld remain horny, nonetheless.